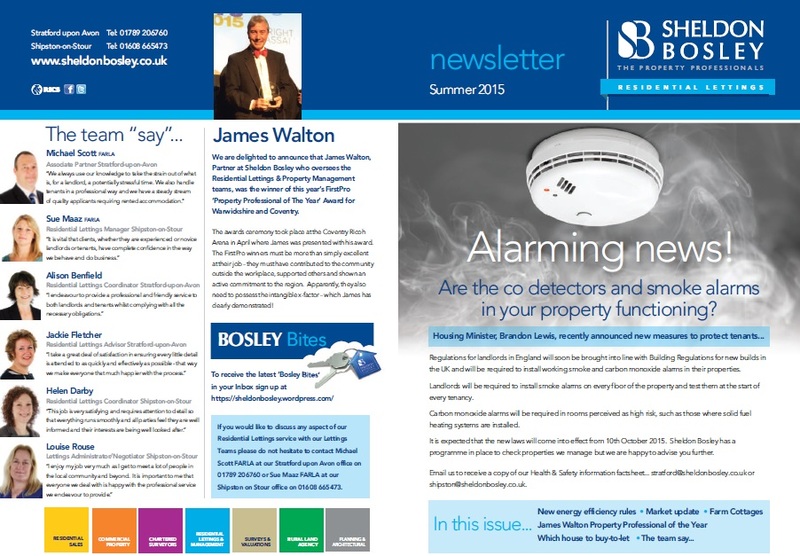 Our Residential Lettings Newsletter Summer 2015 is now available. This edition includes a market update, a round up of the new energy efficiency rules and a reminder about the new rules on smoke and carbon monoxide detectors in rental properties. If you would like to receive your own hard copy of any of our newsletters, please contact us on 01789 292310 or 01608 661666 and leave your details.